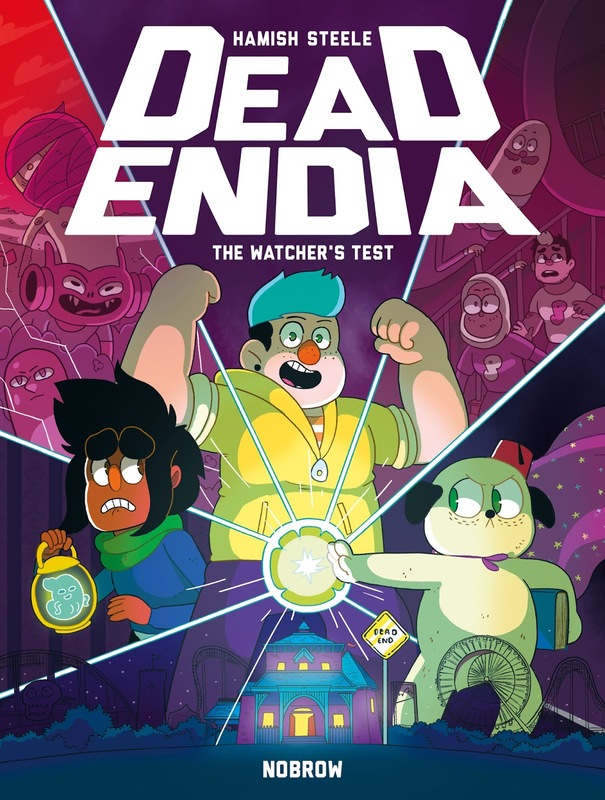 Hamish Steele's Deadendia: The Watcher's Test is a comic set in an amusement park haunted house which is also, conveniently, a portal to hell. But though it has the whole hell-thing going on, it definitely aims to be funnier than scary. I wouldn't say it ever rises to the level of hilarious, but it does remain fun and engaging the whole way through. 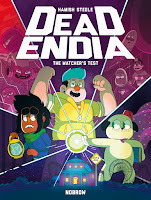 Art-wise, it reminded me a little of Adventure Time or Rick and Morty, but story-wise it's slightly (and at time only slightly) less weird than the former, and definitely less mean than the latter. With a very diverse cast of characters, friendships and acceptance are key.